I’ve just posted a sales page for accent pots by Magic Ceramics. Magic, or to be true to his real name ‘MACIEJ’ Targosinski is a great bloke who I met through the Leinster Bonsai Club. He has a passion for bonsai especially mame but has turned his hand to ceramics. I asked him to make some more accent pots and well, things got out of hand 🙂 So here we are now with myself helping him promote his accent pots via my blog. 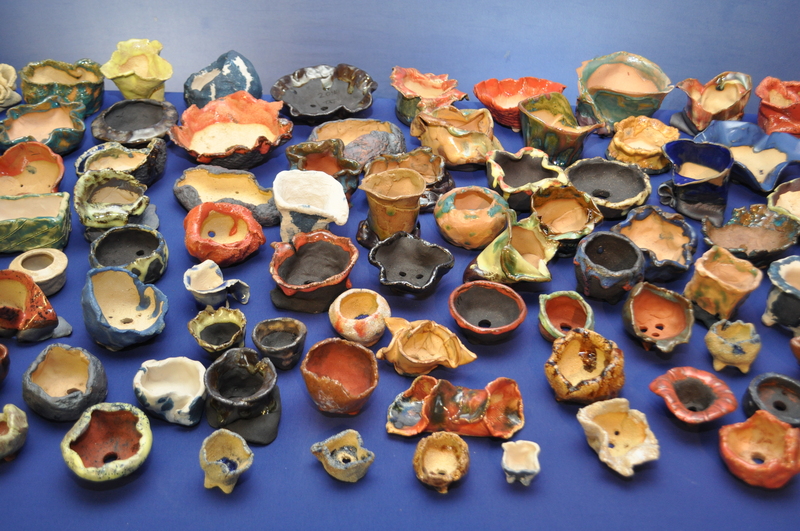 He has a great range of ideas and sizes with glazes galore! He has another batch coming before Christmas which I can’t wait to see. I’m not making money out of this partnership although I do get my pick of the pots which is a nice perk 😉 I think that it’s important to support new and local talent and Maciej certainly fits the bill. If you are interested in any of the pots please note the reference number and enquire via my ‘Contact Me’ tab at the top of the page.